Often called Little Tibet, this area is one of the most fascinating landscapes in the region. The nickname is earned by its people, culture, religion, and architecture which closely resemble ancient Tibetan civilization. It is said that Ladakh used to be part of western Tibet centuries ago. The Ladakh is are very friendly people and like to welcome you into their homes. A majority of the inhabitants in the region practice Mahayana Buddhism, though Hindus and Muslims also inhabit this sparsely populated highland desert. These barren sweeps host magnificent age old monasteries on the hill tops and mountains. The exteriors of these ancient holy places are decorated with Chhortens, mani walls, shrines containing sacred relics, precious stones and prayer flags. The interior are filled with beautiful murals and artful statues. Join us and explore the splendors of Ladakh. Though most of the landscape is stark and treeless, it is dominated by the beauty of snow-capped mountains, lakes, and fast flowing glacier fed rivers. In spring and early summer the glacier valleys are blanketed in thousands of different species of alpine flowers including the Blue Poppy. Hardy species make their homes here including prairie dogs, ibex and blue sheep. Ladakh and Zanskar receive heavy snowfall for seven months when it is extremely cold. Imagine the hardships that people face here in this world of little arable land and limited growing season, no forest resources and precious little irrigation. Despite the hardship the people here are friendly and easy going. A journey into Ladakh is not just a trek. It is a learning experience of a lifetime, exploring how man and nature coexist in this harsh part of the world. Trekking in Ladakh & Zanskar area requires quite a few river crossings. The rivers here get higher in the afternoon and evenings from snow melt. Therefore, one must cross rivers in the early morning, and be brave enough to endure the cold. So, bring along waterproof plastic or nylon shoes that come up to knee level and can be worn in the water. 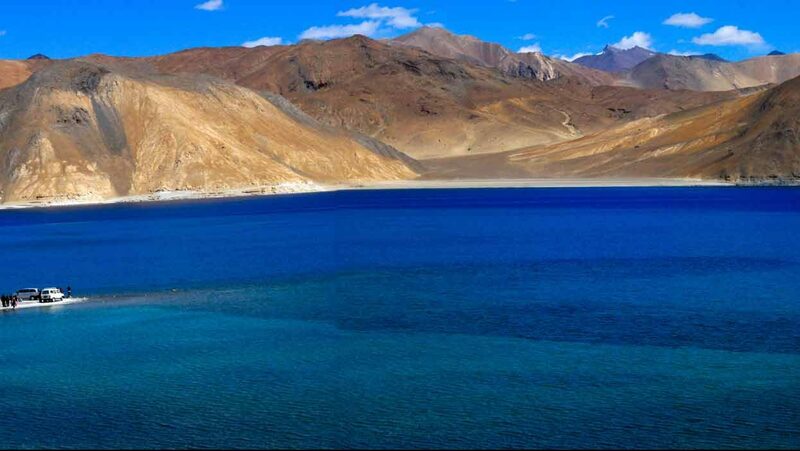 Ladakh can be reached by daily flights from Delhi and Chandighar. It is also well connected with road via Jammu & Kashmir. Currently we do not lead trips through Srinagar and Jammu because of dangerous political conflicts. Our treks begin and end in Leh or Manali or vise versa. Our adventure tour programs in Ladakh, Zanskar and Spiti Areas range from 7 to 30 days. Best Time Short visits and treks can be under-taken from May on. Long adventure treks involving high passes, such as the Singo-la are best done from July through October.